I first had this Cuban Chili (the proper name is picadillo) a Cuban restaurant in Sacramento. It was my favorite dish at one of my two favorite restaurants - the other being the gumbo at a Caribbean restaurant. This is a hearty dish, perfect for a snow day. It only takes about 45 minutes and is easy to make. There are several variations on it but the one I fell in love with included raisins for a touch of sweetness highlighted with cinnamon. You can serve this on beans if you wish, but my preference is for rice. Heat olive oil over medium heat then sauté onion and green pepper for about 5 minutes, until the onion is softened. Add ground beef, salt, and pepper, garlic, cumin, oregano, cinnamon, and cloves. Cook, stirring occasionally until the meat is browned - about 5 minutes. Add the tomatoes, reduce heat to low, cover and simmer for about 15 minutes. 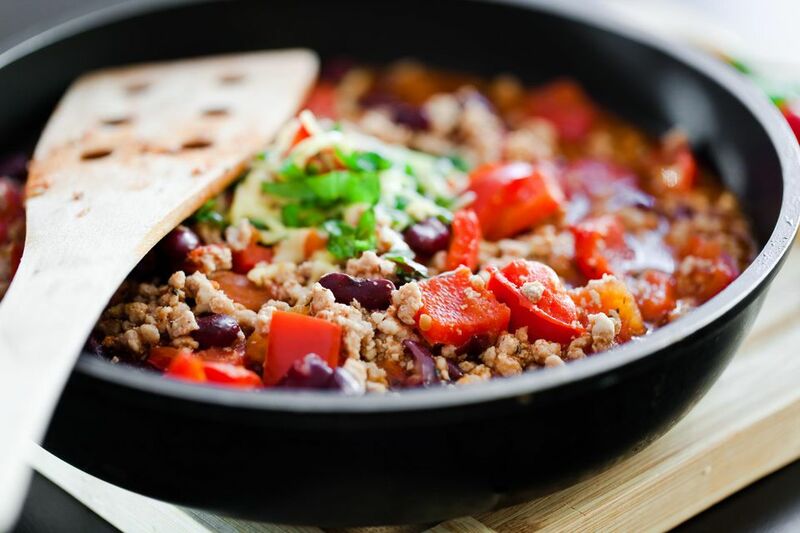 Stir in olives and raisins and simmer 5 minutes longer. Salt and pepper to taste.